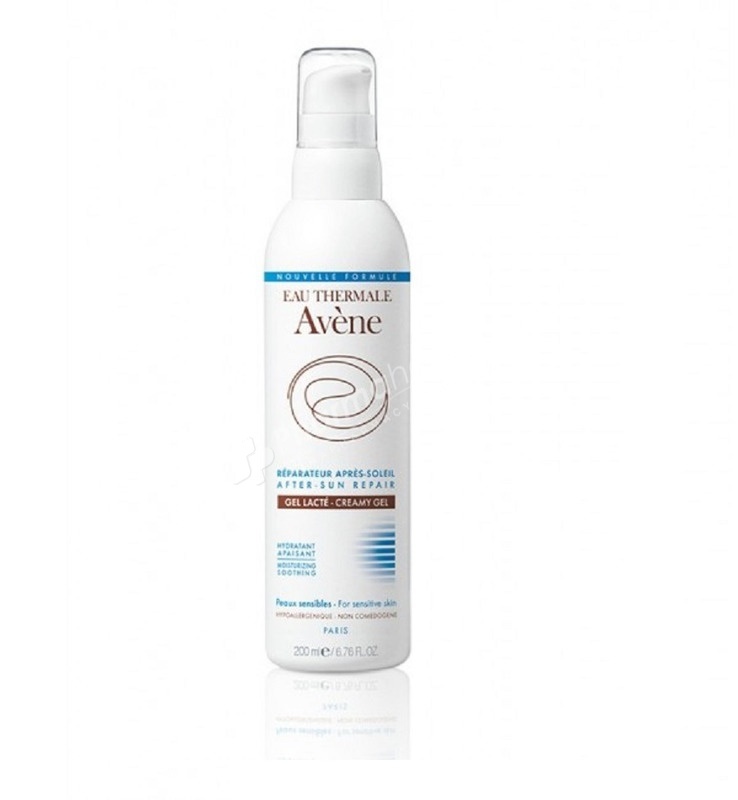 Avène After-Sun Repair Creamy Gel is a moisturizing and soothing gel for sun-stressed sensitive skin. Its lightweight texture offers instant soothing and refreshing effect. The antioxidant action of pre-tocopheryl guarantees effective cell protection. Avene After-Sun Repair Creamy Gel is a moisturizing and soothing gel for sun-stressed sensitive skin. Its lightweight texture offers instant soothing and refreshing effect. The antioxidant action of pre-tocopheryl guarantees effective cell protection. Apply generously to the face and body after sun exposure, especially after showering.